Happy Sunday! Well, we’ve got an interesting mix of stories this week — all the way from a possible President Oprah to tracking your morning wood. Yes, you read that correctly. And, of course, there are never any shortages of candidates for our Whackjob of the Week. We wish they were harder to find, but that’s just not the case. Check out who it is below. 1. 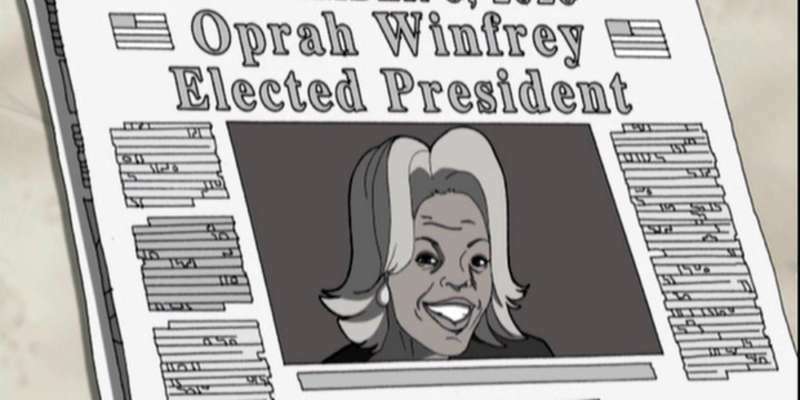 Wait, We Don’t Get a President Oprah? 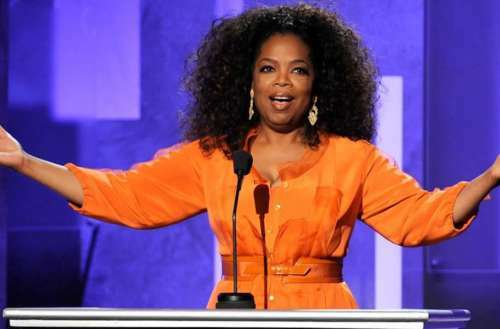 It was all we talked about for the week after her incredibly empowering acceptance speech for the Cecil B. DeMille award at the Golden Globes: Will we see a President Oprah in 2020? It certainly seemed like she was throwing out signals that she was considering it, and you could even find “Oprah 2020” memorabilia for purchase online. Her beau, Stedman Graham, and best friend, Gayle King, didn’t do much to squash the rumors. Well, we now have our answer — and it’s “no.” In an interview with InStyle magazine, Oprah, who stated she has always been confident and secure in knowing what she could and could not do, will stick to running her media empire. “It’s just not in my DNA,” she says. 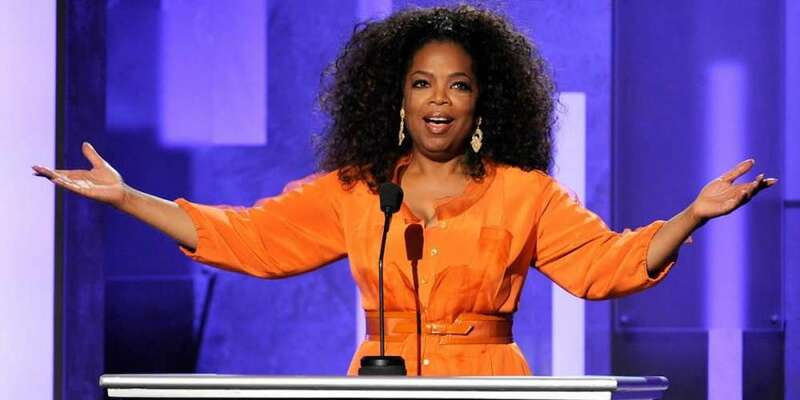 When asked about a potential match-up against the Queen of Talk, President Trump said, “Yeah, I’ll beat Oprah.” So that ends the speculation around a President Oprah, but did you hear that The Rock is interested? Another LGBT married couple is headed to court to fight for their rights. Well, actually for the rights of one of their twin boys. 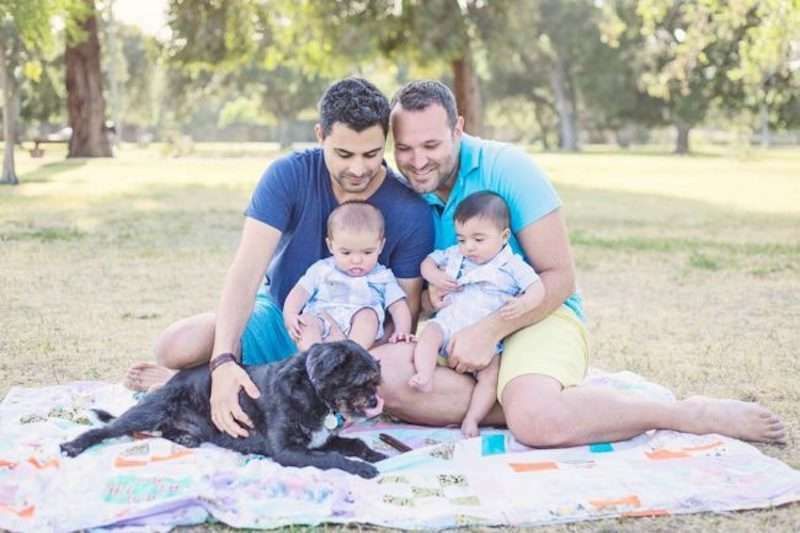 American-born Andrew Dvash-Banks and his Israeli-born husband Elad used their individual DNA to fertilize eggs and ultimately had twin boys via a surrogate — the now 16-month-old Aiden and Ethan. The U.S. government does not consider Ethan an American citizen because he has his father’s Israeli DNA. The Los Angeles-based couple has filed a federal lawsuit over a governmental policy that designates birthright citizenship to children based on their blood relationship to their parents. The twins were born in Canada, and since both their fathers are U.S. citizens they believe the boys should be eligible for the same right. However, after applying in Toronto, the U.S. consulate required the men to take DNA tests and ultimately only approved Aiden. The couple needed to apply for a temporary visa for Ethan. They are being represented by LGBT advocacy group Immigration Equality. We will keep a close eye on this story and plan to have the couple as guests on our weekly podcast, The Husbands. We love this story. All too often we hear horror stories about the way parents react to their child coming out to them. Many times, parents say things that inadvertently hurt their child. 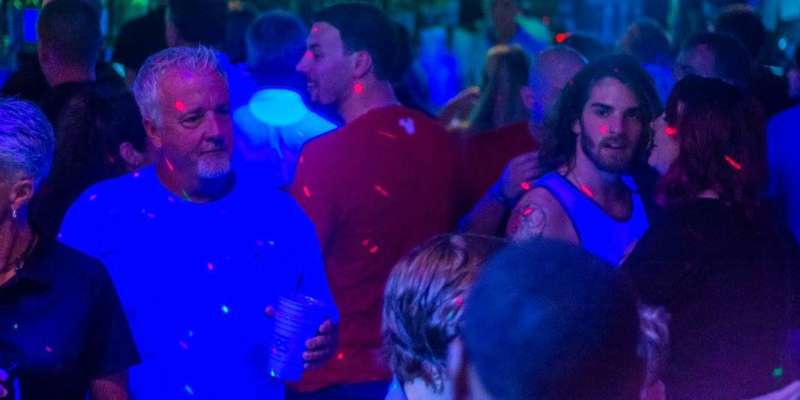 Well, a woman in Mississippi was afraid to do just that — so, of course, she called … a gay bar. While Coley was thinking, the woman added that her son had just come out to her and she didn’t want to say anything that would “mess him up in the head.” Coley responded, “You should definitely let him know that you love and accept him. I think everything will be OK from there.” The woman simply replied, “OK. Well, thank you” and hung up. This may seem like an odd way of getting advice, but we love that she was so concerned about saying the right thing, that she simply did what she thought best. What a great Mom! Kudos to Kara the bartender for taking the call seriously and, frankly, giving the best response. 4. Are You an Early Riser? So we just downloaded the “Morning Glory Tracker” from the app store. This is not a joke. It’s an app that encourages men to report when they wake up with an erection. 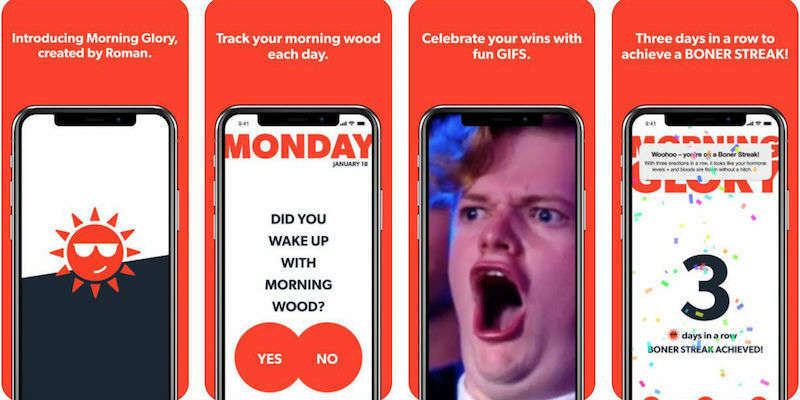 You’ll be rewarded with a funny gif each time and will receive a confetti-filled screen if you have “morning wood” three days in a row. This may seem silly or odd, but it’s a serious attempt by Roman, the erectile dysfunction app developer, to track your overall health. A spokesperson for Roman said, “If you wake up with morning wood, it means your blood flow and hormones are working properly, and that you’re at a lower risk for things like diabetes, heart disease or other chronic diseases.” Download the app to learn more. 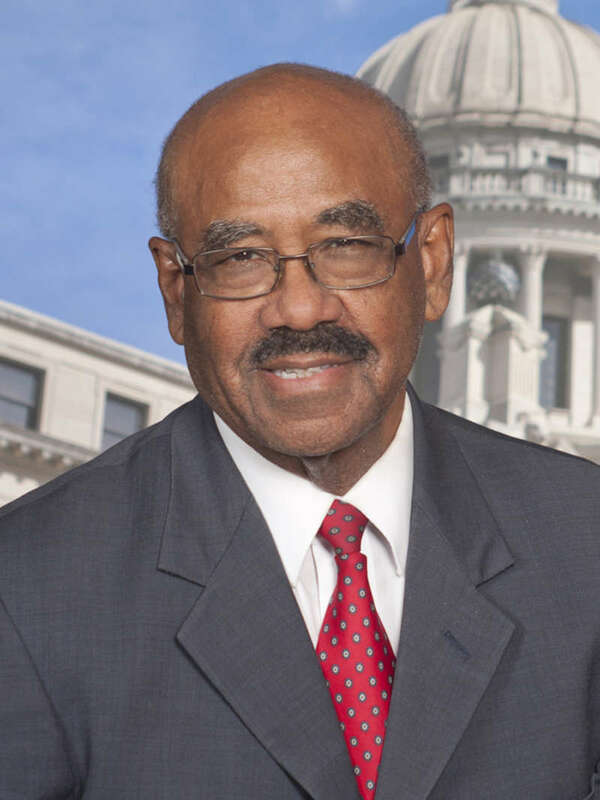 The First Amendment to our Constitution states that the legislature should “make no law respecting an establishment of religion, or prohibiting the free exercise thereof.” Clearly Mississippi Democrat Credell Calhoun was absent the day they taught this in history class. Now, we know this is the South, but this bill is undoubtedly in violation of the First Amendment and is unlikely to pass. If, for some reason, it does pass, it would never hold up in court.